To see Baz Luhrmann's sweeping epic Australia last night. Nicole Kidman and Hugh Jackman shine in the story of a British aristocrat who finds herself on a ranch in the Northern Territory fending off attempts by a local mass cattle rancher to buy her late husband's estate with the help of his evil sidekick. Her doggedness leads her on a mass cattle drive north to win an army contract to supply the troops. But with the backdrop of the Second World War - which saw Japanese bombs strike Darwin - and the scene-stealing presence of the mixed race boy Nullah (played by Brandon Walters) and his efforts to assert the aboriginal side of his identity and escape the clutches of the missionaries, this is an epic on a grand scale. Like the best of the 50s blockbusters, it touches all the emotions, and while it may lack the 'message' of a Rabbit Proof Fence, it holds the attention for all of its 165 minutes. We are in his Commons office, decorated with ugly cartoon caricatures of the prime minister. On the mantelpiece is a bottle of Newcastle Brown, relabelled “Bottler Brown”, a memento of a Conservative stunt following last year’s election U-turn. Serious politicians of all parties have the ability to laugh at themselves and the maturity to respect their opponents. They even make a point of acquiring grotesques of themselves by the likes of Steve Bell or Scarfe to decorate their walls. But not, apparently, George Osborne of the Bullingdon Club - he clearly takes himself far too seriously. And through such pompous self-regard he once again demonstrates why the rest of us can't bring ourselves to do so. Today's extraordinary outburst from a cluster of Bishops about the 'immorality' of the Labour government rests on a series of fashionable - and wrong - assumptions. Their lordships clearly feel more comfortable relying on the wisdom of newspaper pundits rather than facts. And contrary to received wisdom, those who have done best from this government have been the poorest who have been helped by everything from massive investment in education and the NHS to a huge injection of tax credits. Recent research has shown that the gap between rich and poor has not widened under Labour, but started to narrow. Equally fatuous is the suggestion that the government is immoral for encouraging people to spend more, when a key reason people are losing their jobs is because retailers are sinking by the day. The economy needs people to spend more - and nobody is suggesting they should do so by racking up credit card debt. I have always defended the rights of the churches, particularly when it comes to education. But bishops should not engage in party politics, especially when they seem not to know the facts. In Ireland, bishops developed a reputation for giving politicians a 'belt of the crozier' for legislation they disliked, all the while covering up appalling practices by some priests in their dioceses. I have just returned from there, where the big news has been about a bishop who allowed child abuse scandals on his watch displaying the most breathtaking arrogance in the wake of a series of events as shocking as anything in Haringey. Nevertheless, other bishops have rediscovered the Christian virtue of humility as a result of revelations over recent years. Given that the Church of England is not exactly averse to a little speculative investment in property, oil and hedge funds, perhaps a touch of humility would be in order from their Lordships on this occasion too? We are in Ireland for Christmas with my family, enjoying the eyepopping effects of Euro-Sterling parity for the first time. So no blogging for a few days. But in the dispute that seems to matter, it has to be the gravelly voice of Leonard Cohen. Happy Christmas. Conor Cruise O'Brien has died at the age of 91. He was undoubtedly the most courageous figure in late 20th century Ireland. Born into a family steeped in nationalist tradition, he married into another. Yet in a career that transcended the history of the Republic, he went from being DeValera's nationalist propagandist in the Irish Department of Foreign Affairs to becoming the IRA's fiercest critic as a Labour Party Minister of Posts and Telegraphs in the seventies coalition government, and subsequently a unionist member of the Northern Ireland forum. His time in Africa saw him leading a doomed UN mission to Katanga, on which he published a memorable account, and as an early Chancellor at the national university of Ghana in the early sixties. Behind the politics there was a formidable scholar, author and journalist: few Irish books since have matched the quality of States of Ireland; few memoirs are as brilliant as his; nobody else was as knowledgeable on Edmund Burke; and his journalism as Observer editor, and a columnist for the Atlantic Monthly, Irish Times and Irish Independent was prodigious. Perhaps he was wrong in his estimation of the potential for peace and compromise in Northern Ireland, and his hatred of Sinn Fein led him to underestimate the extent to which their acceptance of a six counties solution was a defeat for their primary objective. Yet his penetrating critiques of the despicable Charles Haughey - whose chicanery he recognised more than most in the memorable phrase GUBU (grotesque, unbelievable, bizarre and unprecedented) - and of militant Republicanism were a rational antidote to the self-delusional nationalism of seventies and early eighties Ireland. We have lost one the greatest Irishmen of recent history. May he rest in peace. UPDATE: Eamon Gilmore, Leader of the Irish Labour Party, has paid generous tribute to Conor Cruise O'Brien. O'Brien had rejoined Labour in his later years. Barack Obama has named Arne Duncan, the Chicago schools chief, as his education secretary. While Duncan is no reform outrider, he has supported the sort of change needed in Chicago's schools and is a reformer, doing so in a way that has largely won plaudits from both reformers and teachers. And those who believe that reform matters will be mightily relieved that he has not appointed the teaching union favourite Linda Darling-Hammond. Lord Sutherland's report on this summer's testing fiasco is a tale of incompetence and wishful thinking. It clearly catalogues the role of both the curriculum authority and the contractor, ETS Europe, in causing entirely preventable problems with the tests. But their failures must not become an excuse - as the teaching unions clearly hope - for the wholesale abandonment of tests. Ed Balls has already scrapped the tests at 14. I think he should have reformed the tests rather than abandoning them. But what's done is done. However, at least we have in GCSE results a degree of external accountability for the achievements of secondary schools. Without external tests at Key Stage 2, we would have no such measure in primary schools. At a time when the Government is experimenting with controversial curriculum changes, it is more important than ever that we know whether or not individual primary schools are doing their primary task - teaching youngsters to read, write and add up. This doesn't mean there is no case for reform of the Key Stage 2 tests; it does mean that we need externally set and marked tests that every older primary pupil is required to sit. Those who think this is a terrible burden clearly have short memories. The reason the national tests were introduced was because we used to have no idea whether or not primary schools were doing their job. When the first national test results were published in 1995, and over half of all youngsters failed to reach the expected standard (it is now 20%), the country was shocked. When individual school results were published despite the objections of the teaching unions, we learnt how apparently similar schools were achieving radically different results. In short, those same forces who are now demanding an end to testing had conspired to hide the truth from parents and taxpayers. The problems with this year's tests must not become an excuse to return to those days. And Schools Secretary Ed Balls must speak up loudly and clearly in favour of school standards - after all, they matter most to the least advantaged children who lack the parental support to get on without decent schooling. To see the formidable Norma and Mike Waterson, with Martin Carthy and a great group of young singers - Lauren McCormick, Emily Portman and Jim Causley - for a great evening of Christmas and winter song at the Komedia in Bath last night. England's best folk singers were in wonderful voice (even if Eliza was absent for understandable reasons) as they gave us traditional Yorkshire carols and plenty of wassailing, as well as less well known versions of Twelve Days of Christmas and While Shepherds Watch...., together with some favourites from the Frost and Fire collection. The show is now a Christmas regular, but it's none the worse for that. Catch it if you can. The decision by the Today programme to sack Ed Stourton - a voice of calm moderation, intelligence and reason on a programme too often privy to sensationalism and pointless interruption - seems but another sign of the sorry state of the BBC these days. The manner of his dismissal - without telling him - is particularly outrageous. I think the BBC will regret it. Of course, there have to be changes in personnel on such programmes. Personally, I think it is good - and very timely - to have someone with economic literacy on the programme in the shape of Evan Davis. I have no strong views about Justin Webb, one way or the other. What I do know is that Ed Stourton has his supporters - perhaps a lot more than the BBC imagines. This morning a lady at my local station overheard our conversation about a newspaper story related to Stourton's sacking, and came over to say how outraged she was, and though never having written to the BBC before, planned to do so now. I doubt she is alone. The BBC takes its listeners for granted at their peril. There is little enough on air to justify the licence fee - BBC Four and Radio 4 aside - and they can ill afford to continue to alienate the views of so many of those who pay it. Ken Boston, the chief executive of the Qualifications and Curriculum Authority, has resigned ahead of a critical report this week about the problems with this summer's tests. While the problems seemed largely to have been the fault of ETS at the time, one assumes the Sutherland report on Tuesday is also critical of QCA. If so, he is wise to go now rather than face the media pack in full flight later in the week demanding his head. I had many dealings with Ken Boston over the years, and always respected his no-nonsense Australian manner, even if I worried sometimes that he was getting too close to the teaching unions in his occasional kite-flying. I have no doubt that his contribution to English education will be missed. The system needs serious players like Ken - and it has too few of them. A poll in tomorrow's Independent on Sunday gives another indication of the public's view of the 'do nothing' approach being taken by David Cameron. Labour is just one point behind the Tories, and the latter have lost six percentage points in support. Clearly the Angela Merkel worldview has not helped Cameron, at least for now - opposition to Labour's high levels of borrowing is pretty strong too. Why can't we revive popular drama on TV? 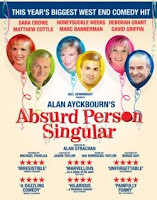 To see the revival of Alan Ayckbourn's very seventies Christmas black comedy, Absurd Person Singular, at the Bath Theatre Royal. The three act play depicts events in the kitchens surrounding Christmas Eve cocktail parties at three different couples' homes, as the fortunes of the cast change from year to year. All have a strangely dated feel - the play was written in 1972 - and all depict the excrutiating nature of such events, with nobody either wanting to host the parties or be there. That one party revolves around the repeated suicide attempts of the unwitting hostess while her guests proceed to clean her kitchen and repair the plumbing says it all. But the script sparkles, and the cast, especially Foyles War stalwart Honeysuckle Weeks, are all top notch. There was a time when we could look forward to several such productions on BBC and ITV over the Christmas period. While Victoriana is being revived - and who could complain about the recent Little Dorrit adaptation - and there are some great new comedies and detective dramas, there is too little popular contemporary stage drama like this on TV. Yet they are definite crowd pleasers. If Saturday night variety can be revived, why not this sort of drama too? Who will be Obama's education pick? So far, President-elect Obama has played a blinder with his cabinet picks. But reform-minded progressives are watching closely to see who he decides to make his education secretary. The AP has listed six potential candidates, where Arne Duncan, the Chicago schools boss, John Schnur, who has developed the brilliant New Leaders for Schools programme or New Orleans recovery superintendent Paul Vallas would all signal that Obama is a reformer, a supporter of accountability and charter schools, and is open to the sort of radical change that the bipartisan efforts of Ted Kennedy with President Bush failed to achieve through lack of funds. New York's Joel Klein would be another good pick. Alternatively, he could pick his education adviser, Stanford Professor Linda Darling-Hammond, and set back the cause of reform by decades. Obama cannily played both sides of the debate in the election. Soon he will have to decide. His decision will be an important one for the direction of progressive politics. News that English 10 and 14 year-olds are doing better in Maths and remain in the global top ten for Science will come as a bitter disappointment to those who would want us to believe that educational standards have dived compared with other countries as a result of Labour's educational reforms. Australia, Sweden and New Zealand. • England’s performance over time has continued to improve in mathematics at age ten and, for the first time in the study, performance in mathematics at age 14 also significantly improved. For science, the previous high performance was maintained in both age groups. • Although 14-year-olds’ enjoyment of mathematics had fallen since 1999 in England, there was a significant rise in the percentage of 14-year-olds valuing mathematics highly, i.e. recognising that it can be useful to them. • Compared with the international average, headteachers and mathematics and science teachers in England are more likely to say that their schools (at both age ranges) are well-resourced. • England’s science pupils at age 14 are more likely to spend their lesson time doing practical science activities than many of their international counterparts. As John Dunford says, the results are a tribute to the teachers and students. But let's not forget too that this is the generation of 14 year-olds who were educated through Labour's numeracy strategy from the start of primary school. It is never a good idea to pay too much attention to the early media reports of any changes to the curriculum. So nobody should prejudge Sir Jim Rose's excellent primary curriculum review paper published this morning before reading it. For this is not a death notice either for any subject or for academic rigour. 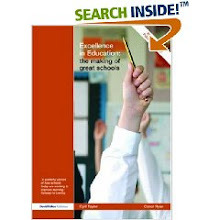 • The existing structure of knowledge, skills and understanding within the programmes of study holds good for any changes that are likely to be proposed for shaping curricular content whether taught as subjects or otherwise. • No matter how the curriculum is construed, more and better opportunities should be provided for children to use and apply their learning to enquiry and problem solving for the purpose of increasing their understanding and learning capabilities. These perspectives helpfully counter a long-standing, worrying tendency in primary education where discussion about the curriculum is often mired by treating as polar opposites, things which should be complementary and together act to benefit children’s learning, for example: Subjects vs cross-curricular studies; Knowledge vs skills; Child initiated learning through play vs teacher directed learning; Formal vs informal classroom organisation; and Summative vs formative assessment. Despite claims of overload and over-prescription, the Review has found almost universal support for the continuation of a National Curriculum. Many of those consulted recalled, unfavourably, the time when far too much of the primary curriculum was ‘do as you please’ and considerably more uneven in breadth, balance and quality than was the case after the introduction of the National Curriculum. But the real strength of the report is that it seeks successfully to marry the trend towards 'skill-based learning' with the recognition that it must be a means towards acquiring knowledge not a substitute for it. All children should have the entitlement to learn a range of skills and knowledge, and to benefit from a range of cultural and educational experiences, while they are at school. This is what today's report recognises and this is what ministers must now start to evangelise about. But if this is to work as Sir Jim hopes, the final report needs a very clear set of criteria to accompany the new curriculum, restating, for example, the commitment to phonics as the primary teacher of reading, and setting out the minimum of what all pupils should know as well as what they should be able to do by the age of 11. There must also be from government an unambiguous commitment to externally-set and marked national tests in primary school so that we can properly measure whether or not these new approaches are working. There was a time back in the 1980s when some so-called 'loony left' London boroughs acquired a reputation for their opposition to the Police. Some schools kept them off the premises. Extreme left leaders made a fetish of their opposition to the Police, providing an easy target for a Tory government determined to reduce the powers of local government. Now it would appear that the Tories have decided to become the anti-police party, as the Damian Green affair has already shown. I'm indebted to Toby Harris for some shocking evidence of how much contempt the current Tory chairman of the Metropolitan Police Authority has for the rule of law. The Liberal Democrat leader, Nick Clegg, has supported calls from a growing number of respected African voices for decisive action to remove Robert Mugabe from office. Mugabe has already lost an election, despite his best efforts to rig it. He has failed to take the chance given to him to develop a workable coalition with Morgan Tsvangirai. The economy has been a basket case for months, with the currency beyond parody. Now with cholera spreading rapidly in a country without proper clean water supplies in the cities (thanks to Mugabe placing urban systems under the aegis of his corrupt cronies) and without adequate health services, the other countries of Southern Africa must act. If they don't, Robert Mugabe will not be the only leader in the region responsible for the deaths of thousands of Zimbabwean citizens. When a movie receives mixed reviews, it is often a sign that it is a flawed film. So my expectations of Clint Eastwood's latest directorial effort The Changeling were not great before we saw it last night. The reviews were wrong to be cautious. (A notable exception being the great Philip French in the Observer, whose review is very apt). The Changeling is a triumph. With Angelina Jolie in her best role yet as Christine Collins, a distraught mother whose son disappears in 1920s Los Angeles only to have another child 'returned' to her, and John Malkovich as a crusading Presbyterian pastor, the movie is taut, dark and gripping. Despite its length at well over two hours, there is little wasted in this film: its largely true tale of police corruption, appalling mental health procedures and a mother's undimmed fight for justice is utterly compelling. Do not miss it. Until yesterday, I had subscribed to the view that the constant sniping against the Speaker of the House of Commons, Michael Martin, was the result of class prejudice. I would therefore have defended him against the jabbering from the Tory backbenches. After his utterly ungracious statement yesterday, where he sought to shift the blame for the decision to allow the Police to search Damian Green's office without a warrant onto the Serjeant at Arms, Jill Pay, I am no longer of that view. It is time for Mr Martin to go. Has Cameron's attack on the police hurt the Tories? After some disappointing polls for Labour following last week's PBR, along comes one to put a spring back in Gordon Brown's step. That's Tories 37, Labour 36. The Independent sees it as a positive verdict on the PBR. But as the only poll conducted after the arrest of Damian Green, could the voters be telling David Cameron that they don't want politicians to be trying to undermine the police in their investigations? Today's confirmation by Barack Obama of his national security team, with Hillary Clinton as Secretary of State, Robert Gates continuing in Defence and Eric Holder as the first African American attorney general, is further confirmation of the mature and thoughtful approach that the president-elect has been taking to the transition. Where previous presidents struggled in their first 100 days, let alone their cabinet picks, Obama looks set to hit the ground running in the New Year when he takes over from Bush. By picking not only strong former opponents like Clinton from his own side, but also strong Republicans, he is showing every sign of being a strong and confident leader. His Treasury picks have all seemed equally inspired. That some of his supporters are dismayed that he didn't pick radicals suggests they misunderstood the nature of the change Obama promised: it was not a revival of the 1972 George McGovern campaign but a return to responsible intelligent government, where people are appointed more for their ability than their politics. And that is change that we can all believe in. Both Matthew Taylor and Toby Harris offer some useful observations in the Green case, as some of the media join the Tories in a disgraceful attempt to turn Jacqui Smith into a scapegoat for her refusal as Home Secretary to interfere in an active investigation. What is particularly bizarre is that today's latest twist in the saga concerns the 'outrage' felt at accusations apparently made by the police that Green had been 'grooming' his civil servant informant. But how do we know that the police used such terminology? Only because a 'friend of Mr Green' told the media about it. And while the language may be unfortunate, the Tories are well aware of the legal difference between passively receiving leaked documents and actively seeking them from civil servants. For many years police forces across the country have eschewed the practice of dealing with criminal suspects “on summons” in favour of the practicality and convenience of arrest and charge. This is especially the case since the latter procedure entitles them to enter and search premises without a warrant.....A small number, however, are guilty of neither criminal nor moral wrongdoing and have become the subject of suspicion through no fault of their own, that or they have made a genuine mistake or error of judgement. In such cases police reluctance to allow suspects to be dealt with as “non-casual visitors to a police station” coupled with the removal of restrictive powers of arrest in favour of the very wide power to arrest “to allow the prompt and effective investigation of an offence” occasionally criminalises truly innocent individuals. The decision to arrest in every case has become routine, even policy. 1. If you are Home Secretary and a good friend is being investigated by the police for a crime, do you (a) take to the airwaves to demand his immediate release because you know he's a good egg, and apologise for any inconvenience caused or (b) let the police conclude their investigation without interference and say sorry afterwards if the police got it wrong? 2. If you are Home Secretary and you find that secret documents are being stolen on behalf of the Opposition on an almost daily basis, some of a sensitive security nature, do you (a) say: "well, that's democracy for you, not to worry" or (b) ask your permanent secretary to conduct a leak inquiry? 3. If you are Home Secretary and the Met Police Commissioner has strong reason to believe that an MP is actively and wholly illegally encouraging a member of your Private Office to steal confidential documents and pass them to him, do you (a) tell the commissioner to stop his investigations immediately because the MP is only exercising his democratic right to break the law or (b) allow him to carry on his investigations until they reach a conclusion, even though an MP is accused? 4. If you are Home Secretary and you are told that an opposition front bench spokesperson has been arrested, do you (a) go on the Today programme to denounce the police or (b) recognise that you do not run the police but resolve to review procedures after the investigation is complete? 5. If your answers are mostly (a) do you really think you are ready to be Home Secretary? The decision by the longstanding Haringey council leader George Meehan and the Member for Children and Young People to resign - after a highly critical Ofsted report on the council's children's services and their handling of the Baby P case - is welcome, as is the sacking of the officials in charge. It is to be hoped that the Government moves quickly to bring in new management from outside to give the council's children's services a long overdue shake-up. UPDATE: Ed Balls's very full statement is here. He has appointed some respected leadership to the officer posts on a temporary basis, with the excellent Graham Badman from Kent to chair the local safeguarding board. But I hope that Balls seriously considers using his statutory powers to require the Council to enter into a contractual arrangement with an external provider for the delivery of Haringey's children’s services. Those powers were used to good effect in Labour's first term (though not as strongly as they should have been in Haringey after councillors balked at their use) and they should be used where necessary again. Imagine for a second that John Reid, Home Secretary at the time, had hit the airwaves to attack the heavyhanded actions of the police after they launched their dawn raid on a senior female Downing Street adviser, before arresting her in the cash for honours affair. That he might have been justified in thinking the actions wholly disproportionate - as her subsequent exoneration proved and those who knew her believed at the time - is beside the point. He would have been wrong actively to intervene during an active investigation. And I'm pretty sure the Tories would have been the first to say so. The same is true of Jacqui Smith today with respect to the arrest of Damian Green. She should not and cannot take the course of action being advised by David Cameron and 'condemn' the police, nor indeed can Gordon Brown, though he could do more publicly to uphold the rights of MPs. And Smith certainly cannot start issuing apologies until the matter is closed. Whatever we may think about the police actions in this case - and I share the views of my former boss on these matters - no Home Secretary can get in the business of trying to take operational control of the police. Were they to do so, we would then be living in an authoritarian state. And I seriously doubt that any of those claiming that we are now living in a police state realise what that really means: for a start, we certainly wouldn't be hearing their claims on the airwaves. Harriet Harman is right to say that there should be a review of procedures to develop much clearer protocol for police seizing MPs' files and computers, especially in the Houses of Parliament. But David Cameron and would-be Home Secretary Dominic Grieve are utterly wrong to suggest that either Jacqui Smith or Gordon Brown should intervene to overrule or rebuke the police in this case, just as they would have been wrong to do so - however unjustified the action seemed to many of us - when the police took similar action before. When this case is over - or if it is decided not to press charges against Green - there should certainly be a proper review of police tactics in this and similar cases. But not before. The arrest of Damian Green seems to be the latest in the heavyhanded approach of the police to politicians and those working in politics. I don't recall hearing much outraged comment about 'heavy-handed' police tactics from the likes of Michael Howard and David Cameron when some of Tony Blair's advisers were arrested in even more bizarre circumstances, subsequently to be exonerated. And it is utterly disreputable of the Tory duo to suggest that the Home Secretary is lying when she inisists she was not involved in the police being called in to investigate leaks in the Home Office: the Tories have embarked on a strategy of shouting unfounded accusations as loudly as possible as a substitute for serious policy, as was evident earlier this week on the PBR. Nevertheless, it does seem bizarre that the police have chosen to arrest an MP on this issue, as none of the documents cited in the papers today would appear to have had national security implications. And if charges are not made, the Metropolitan Police should be much clearer about why they made this arrest (rather than simply questioning Green if they needed to do so) and explaining the criteria they use before making such arrests for the future. The demise of Shakespeare in schools, evidenced by a fall off in demand at the RSC, is an entirely predictable outcome of the Government's decision to scrap Key Stage 3 tests. In many schools, the only reason the Bard was taught to less able pupils under 14 was because of its place on the curriculum and in the tests. Teachers believe they are exercising their professional judgment that a significant proportion of pupils find Shakespeare too difficult. For years, the curriculum authority had been trying to ditch this test but were resisted by successive secretaries of state. But it was to ensure that everyone was exposed to England's greatest playwright that the National Curriculum gave his works such prominence. Those who demanded the demise of the tests - including the Schools Select Committee - should have understood this. The question we need to decide is whether every pupil should have an entitlement to certain subjects and experiences. By scrapping the Shakespeare test along with other KS3 tests, the decision was also effectively made to downgrade Shakespeare in schools. The only surprise is that the architects of this decision should be so surprised. When I was running David Blunkett's office in Opposition, we received a bit of paper that been designed to pressure No 10 for more money, with the admission that schools were short of money with the phrase "insufficient resources threaten the provision of education in the state school sector". I duly passed it on to the much-missed political editor of the Evening Standard, Charles Reiss, who made it his splash as it happily coincided with a cabinet awayday which was being seen as another relaunch of John Major's beleaguered government. Needless to say the media diverted its attention to the leak story and the relaunch was suspended. Nobody remembers the leak now and it was of little long term consequence. Afterwards, when in government, one official told me that they were just relieved we hadn't seen the more radical statements in the rest of the paper. In many ways the 1995 leak was more explosive than today's accidental publication of an earlier Treasury document on the Internet, because it confirmed what everyone in education already knew at the time, but which ministers had been denying. But it was also reasssuring to know that officials were aware of what was happening in the real world. I was reminded of those events hearing the excitement surrounding today's story showing that ministers considered raising VAT to 18.5% in order to pay for the temporary cut. The controversy will play out but it is worth recognising the reassuring elements, which are stronger than those in the 1995 leak. All sensible - and some radical - options are considered and should be considered over any policy. The only bombshell would have been if they had not considered the VAT increase option. The issue is not whether such options are considered, but what decision is made in the end and why. In a sense, a rise to 18.5% would have been the most logical way to pay for the VAT cut. But it would also have been the most regressive, as even the poorest have to pay it on many goods and services. The government opted for a more progressive method of repayment, which is to their credit. But the fact that this was a serious option until the last minute also gives the lie to the notion that ministers have deliberately set out to wreck New Labour principles in order to pacify leftwing backbenchers; the top rate rise and NI increase were simply the least worst options. There has been an awful lot of nonsense talked about the PBR. We have heard that this is the death of New Labour because of the tax rises for people earning over £100,000 a year. Yet the Irish government, for long held up as a low tax haven by the likes of John Redwood, has just imposed a levy based on wealth, after facing an even sharper credit crunch induced crisis (and having had to abandon dottier alternatives like charging pensioners for health care and taxing low paid workers more). Anyone earning from €18,000 (£15,380) to €100,000 (£85,000) a year will be levied an extra 1%; anyone on between €100,000-€250,000 (£213,000) pays a 2% levy and those above that pay 3% more. It is true that corporation tax is lower, but income tax rates are otherwise broadly similar and VAT is going up to 21.5% on Monday. There are also big public spending cuts on the way in Ireland. A lot of the rubbish has come from George Osbourne, whom Tory blogs now seem to think is now a great hero after yesterday's excitable rant. I am still not convinced about the VAT move - though it was what Ken Clarke suggested also, lest we forget. But the last thing the economy needs is bare-faced porkies about the impact of the PBR on people's pockets. According to Osbourne, everyone earning over £19,000 a year is a loser from 2010. For some reason, I suspect the independent analysis of KPMG, which shows that there is very little loss below £100,000 a year, is rather nearer the mark. There is a legitimate debate to be had about the impact of doing so on both the economy and politics, but it is not helped by people trading made-up figures. Does born-again Thatcherite David Cameron really think his role and that of his putative chancellor should be to mislead people into a deeper recession, just to develop the electoral battle lines for 2010? The Pre-Budget Report was a bit like Budget day, but with fewer real rabbits from the hat. The Chancellor did well to set out not only the giveaways but how it would be paid for. There were also well-judged measures for businesses, on the environment, for families and for pensioners. I still wonder just how much impact the VAT cut will really have. But it will hopefully give people confidence in the run-up to Christmas, alongside rises in pensions and child benefit. And nobody can now repeat the Tory rubbish about a tax bombshell. For George Osborne, it was a shrill shrieking response suggesting more concern about pre-rehearsed slogans than the economy. His days must surely be numbered. Today's Pre-Budget Report is expected to see two flagship measures: a 2.5% cut in VAT and plans for a higher rate tax increase in 2010. The latter is intended to reassure people that the former will be funded and will not hit them, for the most part. I wonder what the impact of these measures will really be. The VAT cut - advocated by Kenneth Clarke on Saturday - will reduce average household bills by a tenner a week, which is not unwelcome. But at a time when major stores are typically cutting 20-30% off their prices in unprecedented pre-Christmas sales, will the VAT cut be enough? I'm not always taken by Jon Cruddas's prescriptions, but his suggestion that all basic rate taxpayers get sent a cheque for £500 could have a more dramatic and targeted impact at similar cost. As for the tax rise on those earning upwards of £150,000, it will not raise much money and will not really impact much on those having to pay it. But what is the message that it sends? I hope that Brown and Darling are right that in these post-Obama times, and such a rise is politically acceptable to middle England. The concern about raising higher rates in the past - when some lobbied for higher rates above £100k - was the fact that far more people believed they might earn such sums than ever had a realistic prospect of doing so, but £150k may be high enough to allay such fears. Nevertheless, the government needs to be very clear about who will pay and what they pay; media reports erroneously make out that people pay 45% on their whole income rather than on sums in addition to the £150k. More importantly, the Chancellor will need to say more today about where else the money is coming from; he must not give the Tories ammunition to claim there are hidden taxes to come. That said, the Tories' attitude to the crisis is utterly bizarre and a recipe for wholesale depression. One might debate the government's methods, but they are producing plausible policies. The same cannot be said for their do-nothing opponents. The BBC's adaptation of Little Dorrit is one of its best Victorian dramas in years, with a superlative cast and great atmospherics. Yet the Independent on Sunday reports that it is losing viewers by the week. There is no mystery about this. The production is natural Sunday night fare, like Cranford and Tess, yet the Beeb are showing it first midweek on Wednesday and Thursday evenings; I only remember to watch it because I record it on my DVR. If they put it in its proper spot, there would be no problem getting the desired audiences. Will the bombshell line bomb? Listening to David Cameron and the ever more unconvincing George Osborne on the Sunday talk shows this morning, one is struck by how much they keep repeating the word 'bombshell'. The Mail on Sunday explains that this is part of a strategy to remind us of the golden age of John Major. Given that their economic policy has bombed so far in this crisis, is there any reason to believe that what the public really wants in time of crisis is the constant repetition of 16 year-old advertising slogans rather than a serious fiscal stimulus? The Clinton-haters are having a seizure. Liberals who convinced themselves that Fox News was right - and Obama would be a red-blooded socialist - feel betrayed. Meanwhile the President-elect is proving himself to be a shrewd seeker of real talent, as he makes his cabinet picks; a process, incidentally, at which careful planning has left him well advanced on his predecessors including Bill Clinton. Of course, we don't yet know some of the key picks, such as whether Hillary Clinton will be Secretary of State or whether Bush's Defence Secretary Robert Gates will stay in post. And Obama has already announced top jobs for team loyalists in his picks of Eric Holder as the first African-American Attorney General, Tom Daschle at health and Gov Janet Napolitano for Homeland Security. First, few doubt that she is qualified to do it. 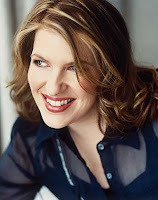 She demonstrated on the campaign trail the breadth of her intellectual reach, a genuine depth of knowledge on global affairs and the sort of energy needed for someone who might fly half a million miles in the course of a year. What's more, it is not as though there was a great range of alternatives. John Kerry, first mooted for the job a while back, famously aloof and arrogant, might have proved a diplomatic disaster. Bill Richardson, the New Mexico Governor with the colourful past, was too risky for the global stage. Richard Holbrooke, the self-appointed dean of Democratic diplomacy, had alienated too many of the Obama foreign policy team through his disdainful dismissal of their inexperience during the primary campaign. Tony Lake, Senator Obama's principal foreign policy adviser in the campaign, said he didn't want the job. Tom Daschle, the former leader of the Senate Democrats and an early adopter of the Obama brand, seemed to lack the global heft to be the public face of the new president. So why not go with the best qualified candidate? Baker thinks that there would be too much drama if Hillary is selected, and that she would be running a permanent 2012 Presidential campaign as the most prominent member of Obama's team. But Time magazine points out here that selecting her could have the opposite effect, and be as much raw politics in Obama's case as the politics of change. At the same time, Obama is reaching out to Republicans including John McCain and Gates to show just how inclusive - and imaginative - his administration will be. Of course, there are the leaks and the briefings. But the process is still in better shape than the media lets on: Obama is not only well advanced, he is showing real imagination in the transition. her show works well in the new Komedia, in the old art deco Beau Nash cinema, which has good reasonably priced food to accompany shows like this, though the venue has had its teething problems with its computer booking system and some very bizarre lighting last night. But none of that detracted from a great performance from a hugely entertaining singer in a venue that deserves to succeed. Teal is well worth seeing live. Will voters trust Cameron again? The Tory base and its newspaper supporters are ecstatic. David Cameron has abandoned his commitment to match Labour's spending pledges, so that he can get out of the self-imposed strictures that would prevent him supporting any tax cuts in Monday's Pre-Budget Report. Meanwhile, a new poll shows that the Tory lead is down to a mere three points, placing it well within margins of error, and confirming the trend of most recent polling. The consensus among Tory commentators seems to be that Cameron has executed a terribly clever move which will pay dividends in the coming months as voters tire of the Labour government. Maybe. But isn't it just as likely that swing voters, having been persuaded that the Tories had shown real signs of change, might conclude that the earlier Cameron strategy was pure PR: once the Tories are in a corner, they revert to their true instincts. And if that is the case, perhaps they won't want to make the same mistake twice? There is still time to get things right. This year was always intended to be a pilot year for the new qualifications. I believe three significant changes are needed if Diplomas are to succeed and young people are to have a good set of choices once post-16 compulsion comes into force. First, plans for the academic Diplomas should be dropped to make clear that Diplomas are a different but strong choice for students, not a replacement for A-levels. Schools and colleges that want to take a more rigorous and diverse academic approach should positively be encouraged to take up the IB – as many are already doing off their own bat. Second, there should be a marketing campaign that focuses on the individual strengths of individual Diplomas rather than the generic structure of the exam, with big-name employers nationally and smaller firms locally putting their weight behind Diplomas in their sector. Good careers advice for every student will be vital, particularly as the school leaving age is raised. Third, the government should do more to sell Apprenticeships from age 14 upwards as part of the choices available to teenagers. Some young people will want a more work-based route than Diplomas offer, and this should be a clearer option for those who do. I've always wondered why anyone bothers filling in those daft questionnaires that increasingly fill space in newspapers and weekend supplements. So when Total Politics asked me to answer their questionnaire, of course I said Yes. The results are here. as "feral" and some suggestions teenagers should be "shot". It was all linked to an advertising drive against the demonisation of children. The whole campaign strikes me as a pretty desperate exercise. There may well be demonisation of young people - that's hardly new. But to suggest that half of adults think children are animals sounded absurd. Now it is clear that is a bit of a stretch, to put it politely. I don't often find Civitas terribly persuasive with their bizarre opposition to public sector accountability, but they have shown in a press release today how the questions that led to these conclusions were pretty loaded and unclear. there were six questions. The one that produced the strongest majority view was not reported in the press release. It asked: 'Nowadays it feels like the streets are infested with children'. 60% disagreed, but the [Barnardo's] press release does not report this clear majority view. Instead it reported that 35% agreed with the statement. ....The report also took advantage of the ambiguity of the term 'feral'. The poll asked respondents if they agreed with the statement 'People refer to children as feral but I don't think they behave this way' and 45% disagreed (42% agreed) The term 'feral' usually refers to occasions when a previously domesticated animal has gone wild, as in a 'feral cat'. The emphasis is on going wild and that is what most people would have understood by the term when asked. They thought they were agreeing with a statement that some children have 'gone wild', a way of saying that they are not sufficiently under the control of their parents or teachers. It is not the same as claiming that children are animals. And isn't there also a bigger problem in the way that society simultaneously mollycoddles teenagers by not letting them do anything for themselves that involves responsibility but refuses to set sensible boundaries of behaviour? Wouldn't a campaign to encourage adults to give young people more responsibility while expecting better behaviour in return, do more for their welfare than an amateur horror flick? This video, the story of Ahmed being bullied for his faith, is a centrepiece of today's Beatbullying campaign being organised for anti-bullying week. I hope the week is a success. Whether it is or not in the longer term will depend on the extent to which the anti-bullying charities are willing to recognise the need for punishment in tackling bullying, even if softer less punitive measures can play their part in creating a better culture in some schools, particularly primaries. In this video, we are assured that Ahmed's bullies were dealt with. Clear sanctions need to be a part of the solution in tackling bullying, and there should be no place for No Blame. Bullies are to blame. I share Iain's disdain for some of the sillier Sunday newspaper stories, and had raised an eyebrow when reading Isabel Oakeshott's piece in the Sunday Times. But the Sunday papers are ever thus. And they only publish such stories when they give a wider sense of what is undoubtedly a political truth. The truth is that George Osborne is flailing. Watching his interview this morning's Andrew Marr show showed why. It was not that Osborne lacked fluency or made any obvious gaffes. Rather it was his inability to speak in a language beyond the cliched soundbite. Instead of trying to provide a coherent explanation of the Tory opposition to Brown's planned tax cuts and spending, we got rhetorical slogans about 'tax cons' versus 'tax cuts'. Whatever a St Paul's education provides, it surely teaches good communication skills. Osborne used to seem like a politician who understood how to react and act in today's world. This is no longer the case. He has become a liability not only because he appears not to understand how ordinary people live, but because he has lost the ability to speak normally. For all the criticism of Gordon Brown, he is far better at expressing himself than the Shadow Chancellor. And that's why Osborne is in trouble. The sooner David Cameron shifts his increasingly gaffe-prone Shadow Chancellor the better. What was simply a case of private grief for the Tories is now a public menace with today's grossly irresponsible talking down the pound. Osborne has shown himself utterly unfit for the job of Chancellor and has displayed a McCain-like sureness of touch in the economic crisis. The time has come for Dave to spare us all from any more such utterances from his Bullingdon buddy. There is a general consensus that Gordon Brown adopted the wrong tone at PMQs today by accusing David Cameron of playing politics over the latest horrific Haringey child killing and abuse case, though Cameron had already made some cheap shots at Brown himself. Brown has still to get the tone right in the Commons, and to recognise that there are occasions where a bipartisan spirit is more appropriate. Today was one of those days. But the substance of the case is rather more important, and it is clearly appalling that another child should have been so brutally killed in circumstances not unlike those that led to Victoria Climbie's tragic death eight years ago. The government has invited Lord Laming to conduct another inquiry. I wonder whether they are right to do so. lines of accountability and responsibility for child protection are not clear in all agencies, including some NHS trusts, Cafcass, YOTs, parts of the police service and youth offender institutions. Lord Laming undoubtedly produced a valuable report, yet his recommendations have not had the impact that he hoped for. Might it not be better to allow a fresh pair of eyes to examine not only what happened in Haringey but why his recommendations are not having the desired practical effect? UPDATE: Ed Balls is right to order a speedy inquiry into the state of Haringey's children's services. Self-righteous councillors in Haringey wriggled out of a full-scale privatisation when their education department was failed in 1999. There should be no half-measures now: Ed Balls must ensure that this council is no longer left in charge of anything affecting children's welfare or education. Iain is terribly excited by Dave's latest wheeze on the economy. I'm not sure it will resonate very far with voters who have been distinctly underwhelmed by the McCain-like confusion with which Cameron and Osborne have treated the economy in recent months. If proof were needed, look no further than today's Populus poll for The Times. Not only does it show the lowest Tory lead over Labour for months at 41-35, it also shows that the voters don't trust the Tory duo on the economy, preferring Brown-Darling by a 20-point margin. If I were David Cameron, I would be most worried about the growing personal economic optimism, where people think their own prospects are better than those of the economy. The poll also shows that Cameron is more popular as PM for the long-term by a margin of 42-35. Peter Riddell interprets this to mean that voters prefer Brown in a crisis, but Cameron in fair weather. Yet, when asked who represents Obama-style change, Cameron barely squeaks a four point lead. Rather than showing great enthusiasm for Dave in 2010, both these polling figures simply reflect the latest voting intentions, and show the remarkable recovery Brown has made in recent weeks. Gordon is right to say that the public want serious people for serious times. But there is no evidence to suggest that they are pining for lightweights when the good times return. UPDATE: Labour Matters has a great rebuttal to Cameron's scheme from DWP minister Tony McNulty showing the astonishing financially illiteracy of Osborne's people. They seem completely to have ignored all the deadweight costs associated with their wheeze as well as the perverse incentives to keep people jobless longer than the norm. Will the Government continue to champion school diversity? Since Andrew Adonis was moved from his job as schools minister to a well-deserved promotion at transport, there has been much concern among academy sponsors and leaders about the future direction of government policy. So, there will have been relief among many at some of the comments made by the schools minister of state Jim Knight, who has now got a greater responsibility for the policy than before, in this week's TES. "Since I started visiting (academies) and seeing how they worked for children from communities where successive generations have been let down by schools, I am an enthusiastic proponent of them and advocate for them." But a worrying sign that all is not as it should be is contained elsewhere in the paper, with suggestions that the Office of the Schools Commissioner could be scrapped following the departure of Sir Bruce Liddington. We are told ominously that "the functions that he has been able to perform with his team are hugely important and we are clear that we need these functions to continue." The last time I heard such a formulation was when the government scrapped the Standards and Effectiveness Unit, the tight-knit group established in the department to champion improvements in literacy and numeracy. The abolition led to less rigour in the 3Rs, only corrected by Jim Rose's phonics review and tough action by Adonis as schools minister two years later. So, as I hear the same formulation again, I fear that the government is planning to scrap the post of schools commissioner and his team. To be fair, there are some interesting signs on diversity in the opposite direction from the Department and the secretary of state, Ed Balls. Yet the Commissioner is the champion of diversity, including academies and trust schools, within the Department and the result can only be a dimunition in diversity, regardless of the stated commitment of ministers and officials to the policy. I do hope ministers think long and hard before agreeing to something they will come to regret. Forget JFK's Irish roots or the Ronald Reagan Ballyporeen connection. Hardy Drew and the Nancy Boys know where the real action is now. Last night's stunningly good by-election victory in Glenrothes shows that Labour is back in business. It was not just the narrow win that might have been hoped for but one where the party increased its share of the vote. This is a personal triumph for a rejuvenated Gordon Brown and his wife Sarah, who spent a lot of time in the constituency. It encouragingly suggests that the party has regained the ability to get out the vote. But it is also a big setback for Alex Salmond and the SNP, with voters rejecting his party's leadership in the local council and Holyrood. And it is a big defeat for the pundits: last night, Michael Crick on Newsnight was repeating the line featured in yesterday's papers that the SNP would win with a 1,000 majority. There has been a lot of talk about what Obama's victory means for British political leaders. Gordon Brown tells us it is a victory for progressive politics. David Cameron thinks it heralds a new generation of young leaders, including Dave presumably. It may mean both, but the bigger lessons for the parties are organisational and strategic. Here are six. 1. Obama used new media as never before, and in ways that no British party has come close to matching. This not only kept him in touch with his supporters, with access to blogs and YouTube videos, it gave him a huge base of financial support. McCain was in the slow lane, by contrast. 2. Obama won a big boost in young voters, as well as Hispanics. He managed to inspire in ways that previous leaders had failed to do. Part of the reason for the higher youth vote was his success with new media. 3. Obama had the superior get out the vote effort. This is what really mattered in close fought states like Florida, Virginia and North Carolina. His field offices vastly outnumbered those of McCain and he had far more people working for him. British political parties need to find new ways to get people working for parties at election time, expanding on the dwindling party membership. People on the ground do matter. 4. Obama ran a brilliantly disciplined campaign. He didn't rise to the bait when accused of consorting with terrorists or accused of being a socialist by the ludicrous Joe the Plumber. He reacted calmly during the financial crisis as McCain dithered. He remained polite towards his opponents as they indulged in silly name-calling (though this didn't mean his campaign ran no negative ads) and he inspired optimism rather than cynicism as a result. 5. Despite claims that he was a mad left-winger, he ran a centrist campaign while McCain swung rightwards. Had McCain stuck to his instincts, picking Lieberman and sidelining Bush's crazier advisers, he could have run things a lot closer. But Obama showed people that he was a safe centrist bet who had practical policies on issues that mattered to their lives. 6. He didn't reject his Democratic heritage when it came to past winners. Despite his differences, he used Hillary and Bill Clinton to brilliant effect. Unlike Al Gore. A brilliant start. Let's hope he can keep this tone and spirit going. Barack Obama looks certain to be the next American President. There are still close races yet to call, but with Pennsylvania staying blue, Iowa and Ohio going blue also and Florida likely to do so, this looks like as good a night for the Democrats as they had with Bill Clinton in the nineties. For that he deserves great credit for a brilliant campaign. But he was also blessed in his opponent's bizarre strategy of turning right and embracing rightwing tactics rather than seeking the centrist votes he was elected to win. Obama won on a mandate for change, but the one lesson he must learn from Clinton is that his capacity for change will be determined by how well he prioritises over the coming months. He must aboid any gesture politics, and show that he can make a real difference on the economy in the immediate term and healthcare in the longer term. He must make good cabinet appointments and he must show the right mix of caution and conviction with respect to foreign policy - experience he has gained as a result of the campaign. Obama is fortunate in that he doesn't have the baggage that Bill Clinton had from the campaign - Ayers and Acorn may get Fox viewers steaming, but few others care - but he must show that his bipartisanship extends beyond campaign rhetoric. All that is for the weeks ahead. But tonight is a moment of history, and one to be savoured. What on earth is the BBC up to? Could the Director General explain why the BBC believes it needs to waste thousands of pounds of taxpayer money sending hundreds of hacks to provide inferior coverage of the US elections, instead of running a feed from one of the US networks? It is a complete waste of money in these days of satellite and digital TV, when any sane person would turn to CNN's excellent coverage (or Fox, if that's your poison) instead. Is Obama really in landslide territory? There are plenty of predictions around about tonight's result. There seems to be a consensus among many, including Luke, that Obama should pick up Nevada, Colorado, New Mexico, Iowa, Ohio, Virginia, giving him around 311-227 electoral college votes over McCain, a healthy margin of victory. Others would add Florida to the Obama column, and there are rumblings about places like Georgia, South Carolina and Montana. Such a result would be a remarkable achievement for Obama, and not just because he would become America's first black president. But none of these represents the sort of landslide that Reagan or Nixon enjoyed over liberal Democrat opponents in the past, or - unless all the toss-up states go Obama's way - even those Bill Clinton had in his two victories. The RealClearPolitics polling maps are a great reminder of how things once were. In 1972, George McGovern won just 17 electoral college votes, taking Massachussets and Washington DC. In 1980, against Ronald Reagan, Jimmy Carter got just 49 votes, including his native Georgia. Four years later, Walter Mondale was reduced to 17 votes - his home state of Minnesota and DC. Mike Dukakis at least managed to add a few states - including the now blue state of West Virginia - to amass 111 votes. By 1992, the tables were turned as Bill Clinton defeated George Bush (the first) 370-168 picking up states now seen as solidly red for Presidential polls such as Louisiana, Arkansas, Tennessee (his and Gore's home states), Georgia and Kentucky, but not Virginia. Bob Dole lost 9 of Bush's electoral college votes in 1996 to get just 159 votes. Only the two more recent elections, with 271-267 and 286-252, have been relatively close. So, will this really will be a landslide, or will the cautious projections be closer to the mark? Either way, it is likely to be a historic result. Like David Aaronovitch, I have always been a bit puzzled by the way the social mobility debate has been conducted in recent years, largely reliant on data about a generation educated under the Conservatives. I have seen the impact of the extra investment in nursery education and schools, and the effect on outcomes, including national test results and GCSEs, particularly through the Youth Cohort Study. So, yesterday's characteristically comprehensive report from the Downing Street Strategy Unit, pointing to signs that social mobility has been improving since 2000, was no great surprise. But it is vital that the government understands that these improvements are about more than mere investment, important though that is. Nursery education spending has been accompanied by controversial but vital (if excessive) outcome measures. GCSE improvement has been greatest in academies and in schools where accountability has led to individual goals and higher expectations. In other words, this is the product of investment, accountability and reform. If social mobility is to continue to improve, it is crucial that ministers recognise the importance of continuing with this approach without needless distraction. The Chief Schools Adjudicator, Philip Hunter, publishes his last annual report today. And already it has made plenty of waves with claims that half the foundation and faith schools in the country are breaking the law, and discriminating against poorer pupils. In fact, as one would expect from Dr Hunter, who has been a studiously fair and judicious holder of the post, the report makes clear that most breaches of the School Admissions Code were technical and when they were pointed out to the schools, they were happy to comply. The doubling in complaints largely reflects a legal duty on authorities to report breaches that they didn't previously report as a matter of course. Most state schools are keen to attract a wide range of pupils; those that opt for more freedom from the local authority are no less so than others. But they don't always have the same resources to get it right first time. In any case, adherence to the Code is not going to produce any magic solutions: where schools give preference to those living closest and to the siblings of children already there, there will always be a bias of some sort. That's why some schools and authorities have tried to use banding - where places go to pupils of all abilities based on a reading test - or ballots - common in many other countries - to give parents without the means to buy expensive houses close to certain schools a fair chance. But they too are attacked in the media. The truth is that no system can ever be perfect so long as there are some imperfect schools - and some schools will always be better than others, no matter how far reform goes. There's no point blaming heads of the best schools for that. Nor is there any merit in tinkering further with the Code. The leader of the Association of School and College Leaders, Dr John Dunford, is right when he says: "The last thing that parents and schools need is more tinkering around the edges. The government should give schools time to get to grips with this code, and should understand fully where the problems lie, before making changes to the code." To see Cesar Charlone's charming film El Baño del Papa showing as part of the Bath Film Festival last night. The Uruguayan tale of a town near the Brazilian border called Melo, where a petty smuggler Beto (César Troncoso) comes up with a cunning plan to cash in on the Pope's impending visit in 1988 to give his family a better future: as his neighbours plan to set up food stalls, he will build a first class toilet for the expected surge in visitors to the town. The film is utterly charming and beguiling, with a poignant humour in which we get a remarkable insight into the lives of the villagers. Despite the title, this is not an anti-religious film; as Charlone says it is as much about people's attitude to authority and the media. The women of the film are strong independent-minded characters, not least Beto's ambitious daughter. And what emerges is a story of huge emotional depth, where we are all rooting for Beto despite his flaws and the inevitable results of his enterprise. According to some of our Sunday papers, Barack Obama's campaign has been 'rocked' by revelations that a distant half-aunt who donated £200 to his campaign is an illegal immigrant. I don't think so. Far more damaging to McCain's campaign was the latest effort to make Sarah Palin look stupid. A look at the latest polls shows that far from tightening, the polls are widening in Obama's favour. RealClearPolitics now expects a landslide with Obama winning with 168 more electoral votes than McCain. It really does look now like Yes he Can. News that Gordon Brown is ready to approve the third runway at Heathrow is good news. Anyone who has had to endure the delays caused by its absence knows why. The contrast with the Tories could not be clearer; they believe that the airport's many international transit flights could be replaced by a high speed rail link to the North. Of course, a high speed rail link may make sense too as would more regional direct flights, but neither is a serious alternative; yet this is the level of logic at which the supposed alternative government operates. With five terminals at one of the world's busiest airports, it is simply ludicrous that a third runway is being blocked by local campaigners. If Britain is to recover its economic strength, it needs this sort of decisive leadership which puts the national economic interest first. Anyone wondering why Sarah Palin is so popular in Alaska should have a look at what other politicians in the state get up to. This great clip is from Politico's ten worst campaign ads of the current election season in the United States. David Cameron and his shadow cabinet have been far more effective in venting their outrage at the crass calls made by Jonathan Ross and Russell Brand than at advancing a single useful suggestion for dealing with the global economic crisis. Perhaps, rather than entrusting the clearly unprepared Opposition with the nation's governance, they could chair the BBC Trust instead? There is clearly a vacancy at the top there, and one that plays to the Opposition's true interests and strengths. If you Google "John Prescott" and "class", you will get 199,000 results. That's quite an obsession. Showing a hithero unimagined flair for enterprise, Prescott has now decided to turn it into an industry. In fact, I was told that there were 110,000 hits when I did so. But never mind. When I tried "David Hughes" and "class", I got 51,000 hits. When I did the same for "David Cameron", the total soared to 373,000. But that is less important than the fact that many of the so-called hits are either repetitious or of little relevance. Indeed, after 360-odd hits in the Prescott list, you are told that the rest have been omitted to avoid repetition. Even then, the hits include details about an American football enthusiast called John Prescott. It used to be said there were lies, damned lies and statistics. Now it seems we must add 'Google results' to the list. Columnists beware. Universities secretary John Denham has had to clawback on the grants regime he introduced shortly after his appointment last year. A family income ceiling of £50,020 rather than £60,000 will be imposed on those getting grants and starting university next year or later. But this still raises a bigger question. The whole point of the new fees regime is supposed to be that no fees or maintenance costs are repaid until after graduation, and then only as a proportion of income over a minimum level. By extending the grants regime so dramatically last year - so that students from higher earning families get a few hundred pounds - at a time when university applications had defied the critics of fees and risen significantly, Denham was making a costly political gesture. But it was also a serious strategic blunder in that it undermined government efforts to sell the new loans regime. Denham should revisit the whole grants scheme, and refocus it to provide generous scholarships for poor bright students, especially those who would benefit most from courses at top universities not available near to home, and on students taking up strategically important and shortage subjects. Other resources should be targeted on persuading poorer youngsters to get decent A levels in the first place. I empathised with Iain Dale as he endured one of the worst things about long distance air travel on his flight to Israel recently. I am 6' 3" (188cm). And there is nobody in contemporary air travel - not even Michael O'Leary announcing his latest extortionate wheeze - who does more to make flying unpleasant than the selfish moron who insists on tilting his seat back, reducing the standard paltry 31 or 32-inch (78cm) seat pitch by several inches. The contrast between my recent Iberia flights to and from Latin America could not have been greater. On the way out, despite picking online seats marked as 'emergency exit', I ended up behind an unrepentant knee crusher, who grinned manically as he shoved his seat as far back as possible. The stewardess simply shrugged, and looked at me as if I had demanded a free upgrade to First Class, when asked to help (the crusher was beyond reason). So, for most of the twelve hour flight from Madrid to Buenos Aires, I had to try sitting at strange angles with feet in the aisles - or walk around - since there was no obvious place to put my legs. It took a juicy steak and an excellent bottle of Malbec in the splendid La Posada de 1820 restaurant in Buenos Aires to lift the spirits. On the way back, flying from Montevideo to Madrid, I had worked out that, unlike British Airways, Iberia releases its seats online at midnight on the day before the flight. The contrast was extraordinary. Not only did I manage to get seats with nobody in front, behind the galley; there was an extra few inches of legroom. Oh what joy! My appreciation of the flight was such that I even enjoyed the in-flight meal and dozed off for a few minutes. Surely, something can be done to ensure that nobody is obliged to spend a long distance flight in agony and discomfort so that somebody else can tilt their seats back. Airlines should provide no-crush rows where we can do our best to enjoy the meagre 31 inches of space assigned to us without encroachment? If train operators can provide mobile-free train carriages, surely the airlines could manage as much? I am pleased that there appear to have been no casualties from the atrocious weather conditions that hit the Lake District fell run, despite the decision of the organisers to defy the police and go ahead with the event against their advice. I have just been listening to one of the organisers on Channel 4 News explaining that they ignored the advice from the police because they knew better and were 'not children' and numbered 'doctors and lawyers' among their number. Fine. Perhaps the organisers could reimburse the taxpayer for the hundreds of thousands of pounds their clearly superior wisdom has cost the emergency services, the Police and NHS? One unexpected casualty of the global economic crisis has been the political sureness of touch of the self-styled natural party of government in Ireland. Ever since Eamon DeValera found a way to overcome his principles to sit in the Dail, despite having to declare allegiance to the British crown, Fianna Fail has been the party where pragmatism and populism have been blended to perfection, to their enormous electoral advantage and the frustrated fury of its opponents. Bertie Ahern, whose tenure as Taoiseach coincided with Tony Blair's as British Prime Minister, perfected the art. But his semi-forced resignation earlier this year has seen his party take leave of its senses. The bluff former finance minister Brian Cowen has been a disaster as Taoiseach, and his own finance minister Brian Lenihan surprisingly seems to lack his father's political antennae: a tough budget ten days ago - forced by a sharp downturn in public finances - saw them proposing to take away the medical cards of many pensioners aged over 70, forcing them to pay medical bills above €100 a month, and to levy a 1% tax on everyone, even those on the minimum wage (health care is not universally free in Ireland). The prospect of thousands of irate pensioners descending on Dublin combined with the disbelief of their populist backbenchers and the acute embarrassment of their Green coalition allies to force an almost complete U-turn. But the result has been that Fianna Fail will never again be regarded as the political pacesetters in Ireland. It has reached a low of just 26% in a new poll (against 33% for Fine Gael and 15% for Labour). Irish politics will surely never be the same again. No wonder Bertie broke a leg this week. To see Burn after Reading, the latest offering from the Coen Brothers, at Bristol's indulgent new cinema complex at the city's Cabot Circus centre last night. I have long been a fan of the Coen Brothers, but aside from No Country for Old Men, have found some of their recent offerings to be distinctly below par. This is a cracking return to form. 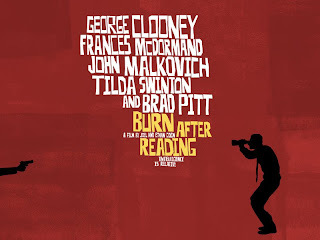 As ever, the plot is zany, inpenetrable and inconsequential, involving a forcibly retired CIA operative (with John Malkovich perfect in the role), his steely wife (Tilda Swinton), her affair with another government figure with a less clear role (George Clooney in best Cary Grant mode) who has a fling with a gym worker (the wonderful Frances McDormand) who discovers the CIA operative's memoirs on disc with her immature co-worker (Brad Pitt) and who then embarks on an attempt at extortion, to the bemusement of the CIA chief (the ubiquitous but underrated JK Simmons). What ensues is an hilarious, sometimes shocking, series of events in a film that is almost as good as O Brother Where Art Thou or Fargo. Do see it. My arguments in favour of keeping the Key Stage 3 tests obviously came to nought. But do read what Oliver Quantrill, a Maths teacher at Lavington School, Wiltshire, has to say on the subject in this week's TES, where his views are carried alongside two other teachers who seem pleased that the tests are gone. I suspect he speaks for a substantial number of his profession. We will still be doing an internal assessment, as I suspect will most schools, and we will try as hard as we can to make it as formal as possible so we can motivate pupils to take it seriously, get themselves prepared for the start of the GCSE course and give us and them an accurate assessment of their current level in the subject. The fact that this is no longer an external exam means it will be harder to convince them to take it seriously and we will have less chance of identifying those whose under-performance in lessons might be masking their actual potential. It also means pupils will have less experience of this kind of formal test and so will find the GCSE exams that much more daunting. We, in our maths department, feel that the maths Sats paper is a good test of abilities....All that happens now is our department will have to put in a significant extra amount of time and effort marking and moderating our own set of papers. Scrapping a good test, which is a reliable measure of a pupil's progress, seems short-sighted.